Want to take your next vacation to a luxurious destination? 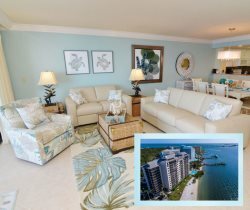 Resort Harbour Properties in Sanibel Harbour has got you covered. These luxury vacation rentals in South Florida are approved by our most discerning guests. When you stay in one of our units, the experience is like walking into a model home that has been completely renovated to current design fixtures, furnishings, and electronics. Tropical styling, refreshing beach colors, and cozy details create a gorgeous setting in which to spend your getaway. Please contact us with any and all questions about our vacation rentals in South Florida.